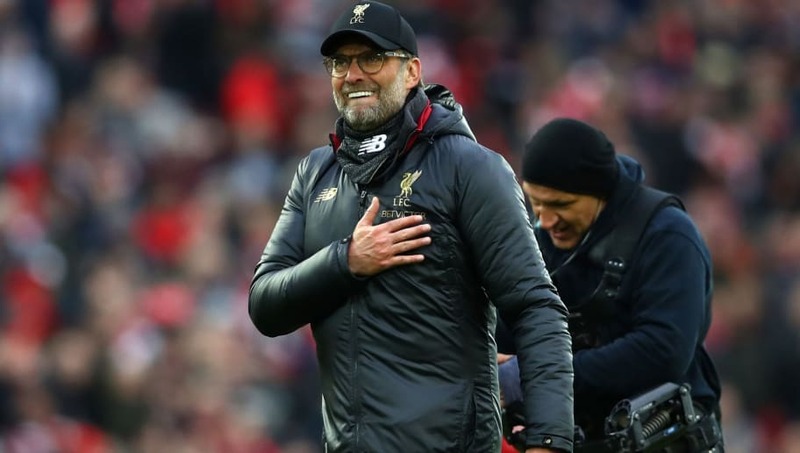 ​Jurgen Klopp takes his side to the south coast on Friday evening for a match that could be a prime opportunity for the Reds to earn another three points towards the Premier League title, as ​Liverpool face Southampton. ​Liverpool fought off a spirited Tottenham side in their previous match at Anfield, with a number of players putting in good performances to take all the spoils. Klopp will be hopeful that he will have defensive rock Virgil van Dijk fit, as the Dutchman was seen clutching his ankle towards the end of the game with Spurs. Here's a look at how the Reds could line up for ​Friday's clash. Alisson Becker (GK) -​ The Brazilian, signed from Roma in the summer, has helped transform Liverpool's defensive record this season. He has kept a league-high 17 clean sheets and will hope to add to his tally against the Saints. Joel Matip (CB) - Matip has been more of a bit part player this season, with 16 ​Premier League appearances to his name. When called upon, the Cameroonian has partnered well with Van Dijk and will hope to strengthen his case for a starting berth in this game. Andrew Robertson (LB) - The £8m Liverpool paid for Robertson in 2017 looks like an absolute steal. He has arguably been the best left back in the league for the past two seasons and, like Alexander-Arnold, is a key part of the way ​Liverpool style of play. Georginio Wijnaldum (CM)​ - ​Wijnaldum has been an unsung hero in Liverpool's midfield this season. He puts in a lot of work, both defensively and offensively for the Reds, and Klopp will be hoping he is at his best in the run-in. Jordan Henderson (CM) - Captain ​Henderson is an important player for Liverpool. He leads by example, and his Premier League experience will be important in this crucial period of the season. James Milner (CM) - Mr Dependable has once again had a great season. He plays wherever his manager wants him to, and does whats asked of him superbly. His title-winning experience will be important in these final league games, and Klopp will look to ​Milner to calm the ship when things get nervy. Mohamed Salah (RW)​ - The Egyptian has been criticised this season for not replicating his stellar form from last year's campaign, however ​Salah is incredibly important to how Liverpool's attacks work. He would like to get on the score sheet in this game after netting 17 goals so far this season. Not bad for a player who isn't performing. Sadio Mane (LW) - The former Saints player has been having the best season of his career, scoring some crucial goals for his team. ​Mane will hope to continue this run and help his team on his return to the South coast.